The all new meaner but leaner 2017 Ford F-150 Raptor is not just a standard truck, its second generation of Ford with a tougher, smarter, and most efficient Raptor yet. It redefines what it means to be designed for a specific purpose, high performance off-road truck all with a manufacturer’s suggested retail price of $50,000. FOR THE BEST FORD REMANUFATURED ENGINES Click Here! (all-wheel drive) modes with ground specific powertrain standards based on the terrain mode chosen to optimize performing in any driving condition. Other technological advancements include a large multi-function LED screens on the center and IP competent enough to provide vehicle status 24-hour care and exterior visibility with an integrated 360-degree cmaera system with a split display view, three steering modes, and available SYNC 3. A fully equipped and legal engine 2017 Ford Raptor finished the 49th SCORE Baja 1000 along with four best in the desert competitions through the 2016 period. This is the same truck that will be placed on display and went on sale in December of 2016 with only minor adjustments to comply with safety regulations consisting of a roll cage, light bar, fuel cell and minor shock changes to carry the added-on weight of the safety equipment. The race truck will run on the same BFGoodrich tires that will be a requirement on the assemblage. The Raptors performance was flawless during the Baja 1000 race where Foutz Motorsports finished the race in 35 hours, 59 minutes and 8 seconds to come third in the stock full class. 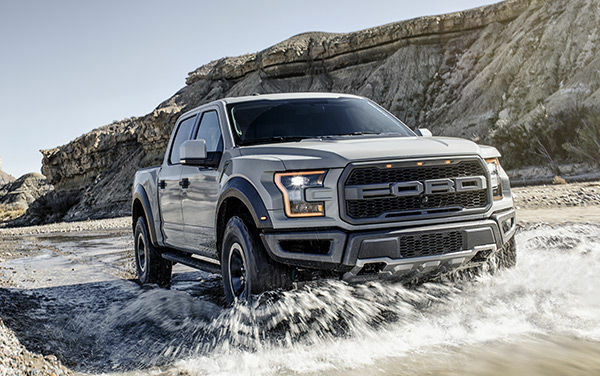 Initially the Raptor maintained close to 87.8% of its price which is extremely high for vehicle that is two years old.